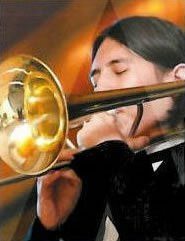 Trombonist Thomas Dover is from Miami and attends the New World School of the Arts. He has won numerous awards, among them: the Essentially Ellington Outstanding Trombone Soloist Award in 2009, Downbeat Student Music Award in 2010 in the “Jazz Soloist” category and most recently the Young Arts Merit Award in “Jazz” by the National foundation for Advancement in the Arts. in the fall, he will be attending the New School for jazz and Contemporary Music in New York City.